Our practice is dedicated to excellence in patient care and providing you with a positive surgical treatment experience. Our staff consists of professionals who are ready to assist you with all of your needs and questions. We believe that our multi-disciplinary team, working side by side, are the main pillars, leading to the success of your surgical journey. If you have any queries regarding any part of your procedure or the pre and postoperative care - all you have to do is ask us. Dr Daiva is a Bariatric physician, specialising in weight loss management. She consults patients during the follow up appointments before and after bariatric surgery. After completion of her GP training in the UK, in 2008 she was conferred a MRCGP degree - Member of the Royal College of General Practitioners - London, UK. Dr Daiva then arrived to work in Australia and, after completion of the accreditation process - she was awarded a Fellowship of the Royal Australian College of General Practitioners FRACGP. She is a member of the Obesity Network at the National Faculty of Special Interest at Royal Australian College of General Practitioners. Dr Daiva is very caring and passionate about her job. 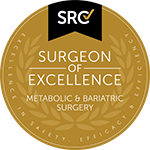 She very well understands the complexity of obesity as a disease, its related illnesses, patient’s physical and psychological challenges, therefore provides a fully comprehensive approach to weight loss management for our patients before and after bariatric surgery. DrDaSilva graduated from the University of NSW and spent the early part of his career in Intensive Care medicine before commencing his anaesthesia training at St George Hospital, Sydney. He also trained at The Royal Hospital for Women, The Children's Hospital at Westmead and St Vincent's Hospital before completing his Fellowship year with NRMA CareFlight. Following this he worked as a retrieval specialist with NRMA CareFlight and the NSW Ambulance Helicopter Rescue Service. 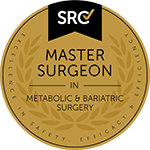 His current clinical profile includes anaesthesia for bariatric and upper gastrointestinal surgery, liver and colorectal surgery, obstetrics and plastic surgery. He has a special interest in anaesthesia for trauma surgery and anaesthesia in the elderly and critically ill.
Vanessa is an Accredited Practising Dietitian and Nutritionist who has developed expertise in a variety of clinical areas through her employment at St Vincent's Hospital and in Private Practice. She is very enthusiastic and passionate about nutrition and is committed to providing evidence-based dietary advice to improve the health and quality of life of individuals. Her strong interest lies in bariatric surgery, gastrointestinal disorders, weight management, heart disease, diabetes as well as general healthy eating. Meredith has predominantly worked within the Wellness Industry for the past 17 years and has a Cert IV of Executive Secretarial Studies, Diploma of Sports Injury Therapies, Diploma of Remedial Massage and Diploma of Nutrition. As your first point of contact, Meredith will help you with any questions you may have and support you along your weight loss journey, with her caring nature. Fiona has an extensive customer service background with a focus on administration and education. Fiona has a passion for helping people achieve their goals and her varied work history includes working with students in the school system and the private sector to help them achieve their potential. In addition to her work with teenagers and students, Fiona has held several administrative positions and spent a number of years running her own business in the antiques industry. This well-rounded experience, coupled with her interest in health and well-being, have led Fiona to the front desk at Advanced Surgicare. Fiona looks forward to welcoming you to Advanced Surgicare and supporting you throughout your weight loss journey.